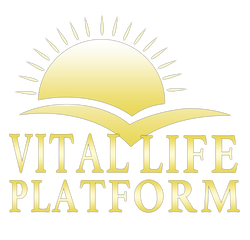 Conscious Planet | Complete Optimal Regenerating Environment - Vital Life Platform | Better Than Ever! WARNING: Are Your Supplements Harming You? Most companies have been plagued with the challenge of only using Nutritional Analysis to determine the quality of their products. However we know a nutrition facts panel is not enough information to make a healthy choice for you and your loved ones. A great example would be the raw almond vs cooked almond analogy. Nutritional analysis shows they are identical, however if you sprout a raw almond and plant it, it grows and creates life, and when eaten is easily digested and readily utilized by the body. A cooked almond on the other hand cannot sprout, rots when you plant it, more than 50% of the protein, 70% of the vitamins and 100% of the phyto-nutrients are destroyed, and when eaten, causes indigestion and is treated like a toxin by the body. The body has the final say in what it uses. How many farmers plant cooked seeds? Are you planting cooked seeds of wellness in your life? Are eating yourself to death instead of life? Do you know what the Cause of ALL disease is? Do you have a guaranteed "Wellness Success Formula"? Do you confuse "food" with "nutrition"? Taoist formula for health and wellness? Does your food have abundant nutrients and come from rich, healthy, maintained soil that is not depleted? Does your food have active enzymes, friendly bacteria, phytonutrients and "Life Force" energy for proper utilization? Does your food test in "Balance" or "Homeostasis" to your body with "electro dermal screening" or bio feedback response testing, or is it rejected? Does your food muscle test with the highest level of consciousness and appropriateness for your highest good? Are you ready for your guaranteed results and feel better than you have ever felt before? Click on each video to watch this 5 part Series: Cause & Removal of Disease videos now. The Importance of Proper PH Common Traits of "Blue Zones"
Does your health and wellness program "measure up" and remove the cause of disease? ENERGIZE + ELIMINATE + REPLENISH+ BALANCE = Wellness! See where our complete rejuvenative product line that supplies ALL the essentials for wellness, can "fill the gaps" in your food, products and eating program. Click to watch our Products video now. If you are wanting to learn more about Conscious Planets and their most PHENOMENAL products for Energizing, Detoxificatying, Alkalinizing!